We want your submission to be: a) original (writing "T.O." in pink frosting is nice, but...); b) pleasing—or at least intriguing—to the eye; c) as tied to the "Toronto" theme as possible; and d) obviously, we want you to make and decorate these cupcakes yourselves (no bakery sub-ins, puh-lease). Also, please note that by sending us your submission, you're giving us permission to publish your name, your cupcake photo, and accompanying blurb. See Torontoist for entry details, and good luck! May the best cupcake win. 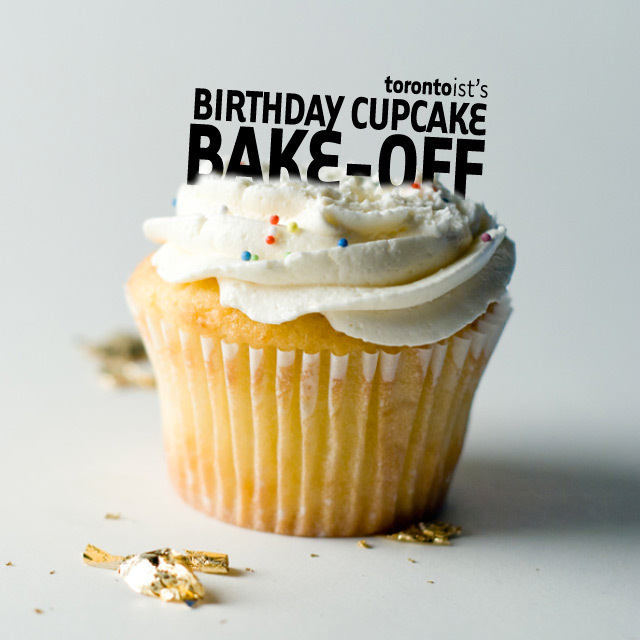 I'm so upset I missed this, I would have loved to represent Toronto on a cupcake.